Well, it is FINALLY finished (for the most part)!! We started this kitchen project back in late February I believe. It was supposed to take a week or two to complete...ummm...that did not happen. 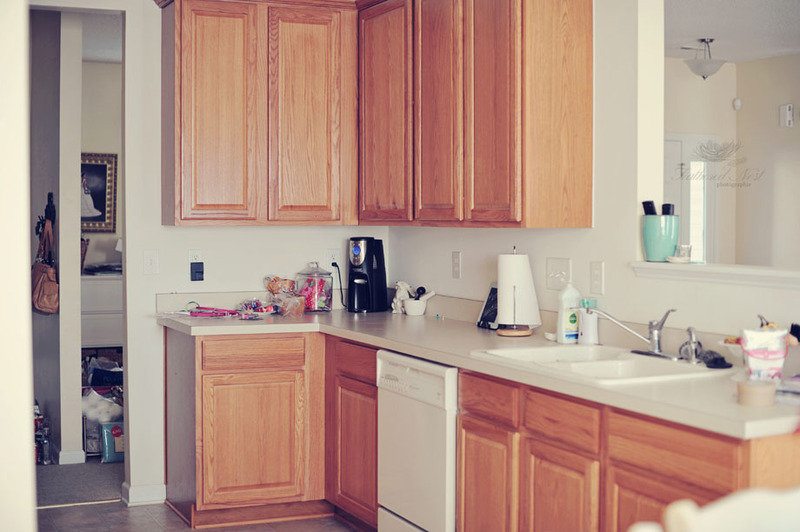 It actually took us 4-5 months to get all the projects completed and several of those weeks were spent without a functioning kitchen...no countertops, sink, water, dishwasher, etc. It was awful because we didn't prepare for that. That's what happens when two un-handy (is that a word?) 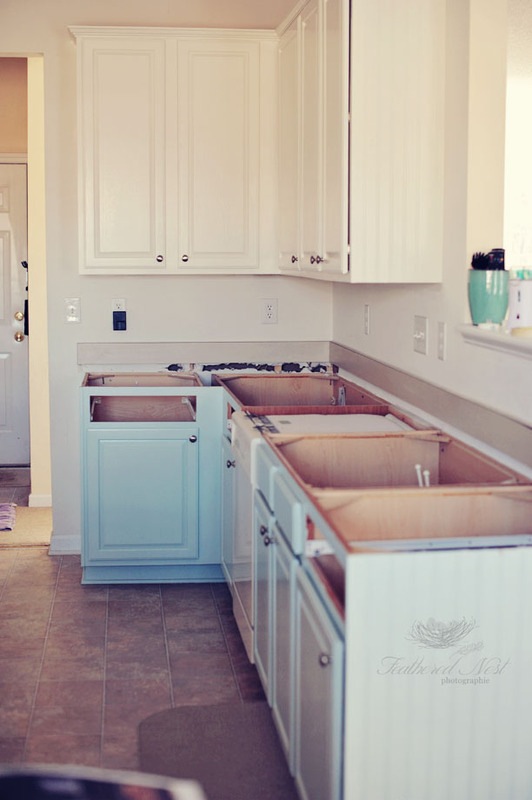 people take on a kitchen renovation. It drags on for forever because we second guess ourselves at every step, and underestimate how much time things take and then we get stuck and have to ask, beg, PLEAD for help, lol. True story. I am just relieved that it's done (actually it was done in July) and I can now share some before and afters to all of you. I am in LOVE with the end result. Exactly how I hoped it would look :) I will share helpful links and resources that were helpful during this project throughout this post. Enjoy! 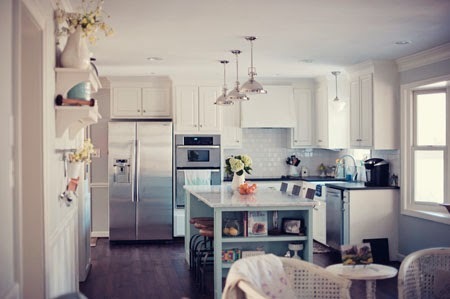 This is what our kitchen looked like right before we began this project. Builder Grade boring...blah. It needs some help but the cabinets were definitely workable. A little paint would make a huge difference. We actually ended up hiring some local painters to take care of this part for us to save time and energy. Of course it costs more to hire someone to do the painting for you but for what we paid it was definitely worth it to avoid the headache. They sanded, primed and painted all the cabinets and doors. They also added beadboard to the side panels, per my request, to add a little extra character. 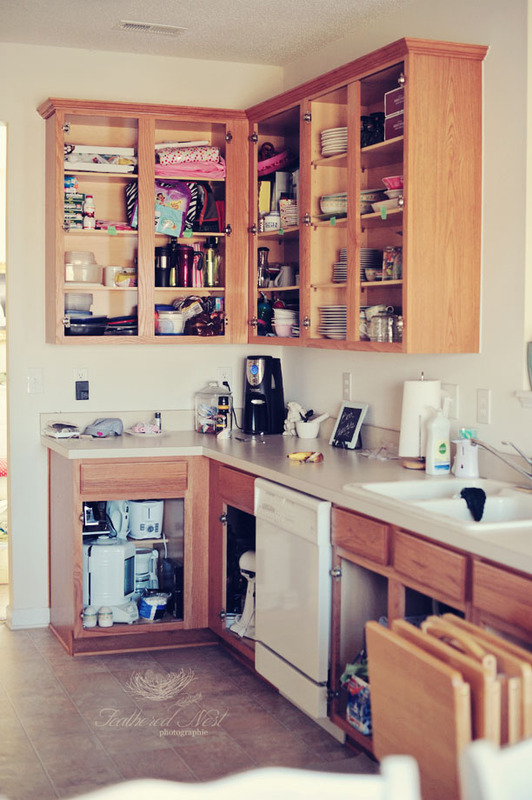 We had to live without cabinet doors for about a week and a half. 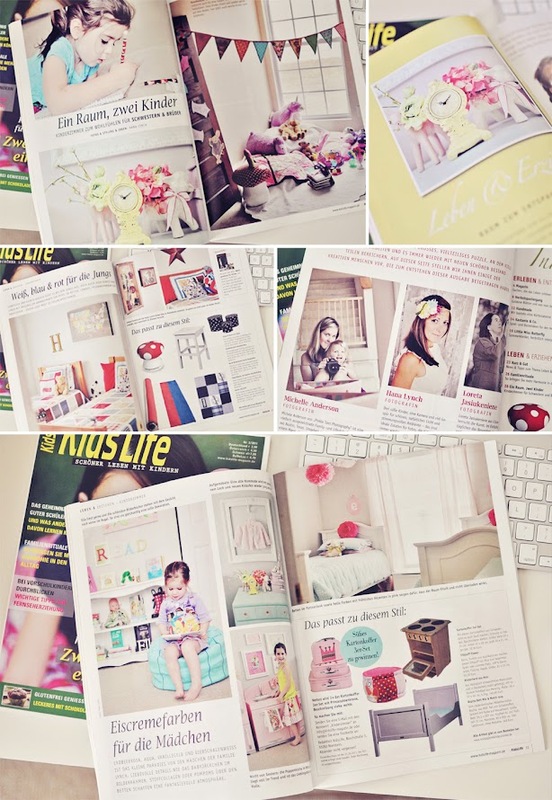 Don't judge me by the mess on the shelves, lol! This is the result once the painting portion was finished. The upper cabinets were done in Almond Cream and the lowers were done in a robins egg blue called Celtic Grey, both are Behr colors. 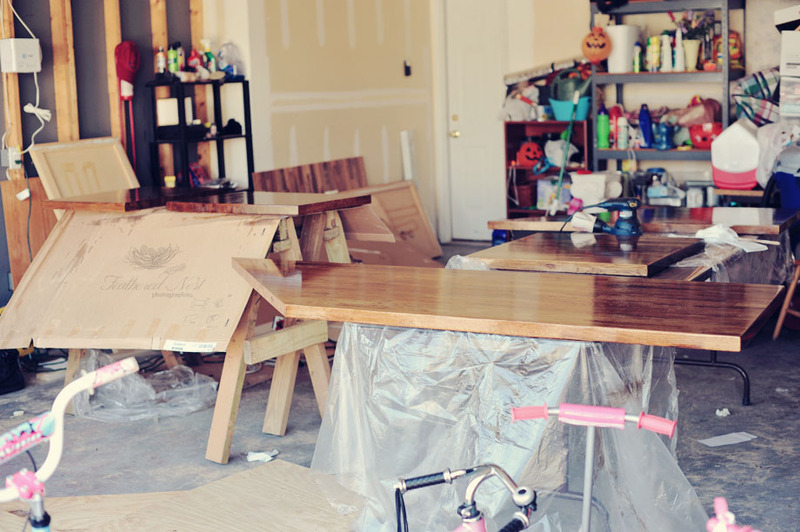 At this point we had already removed the old countertops and I had begun work on the new butcher block ones in the garage. Sanding, staining, and sealing was a labor intensive process that took about 9 days, working on them multiple times a day, both sides to prevent future warping of the wood. This is what my garage looked like for a while as we worked on the kitchen makeover. We bought our butcher block countertops at IKEA. They are the oak Numerar ones. I followed some great advice and tutorials for staining and sealing butcherblock that I found here and here. 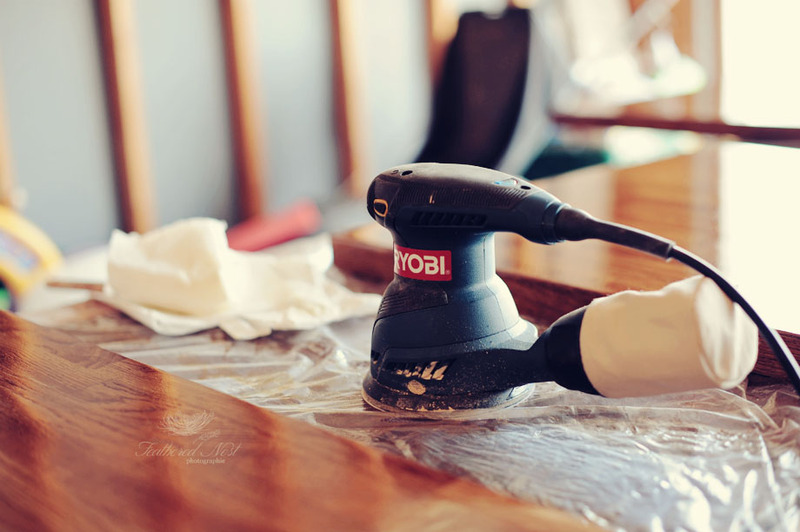 I bought my first power tool for this project, a Ryobi sander! 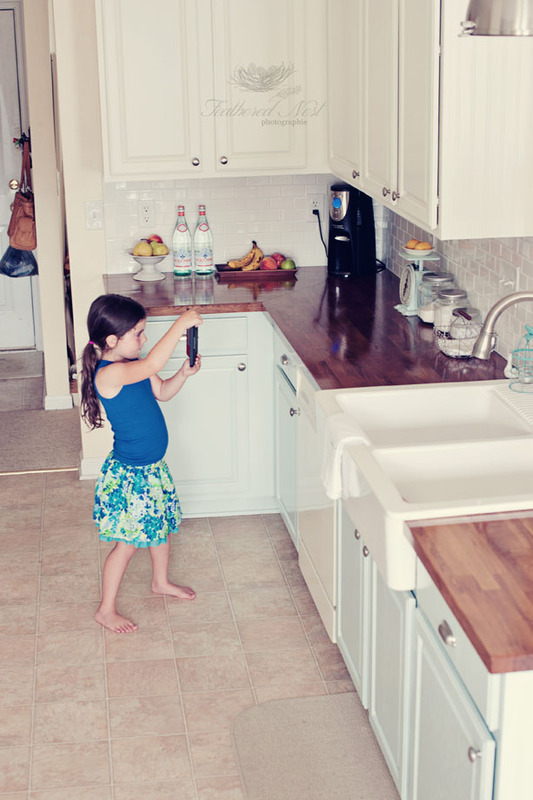 He worked his little tail off on these countertops! The tutorials mentioned above will guide you as to which sanding papers to use...I cannot remember exactly what grit they were...220 and something else. 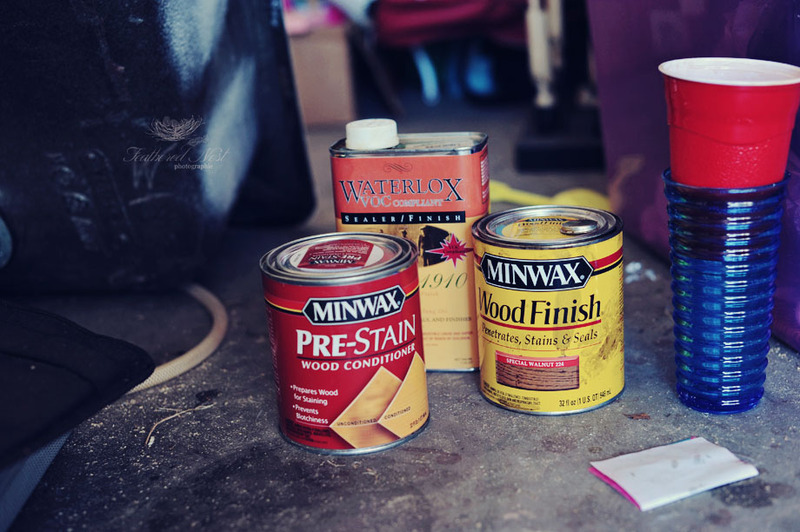 I used a Minwax pre-stain wood conditioner and wood finish for staining. The color was Special Walnut 224. It's gorgeous!! Then I used Waterlox the seal the butcher block. 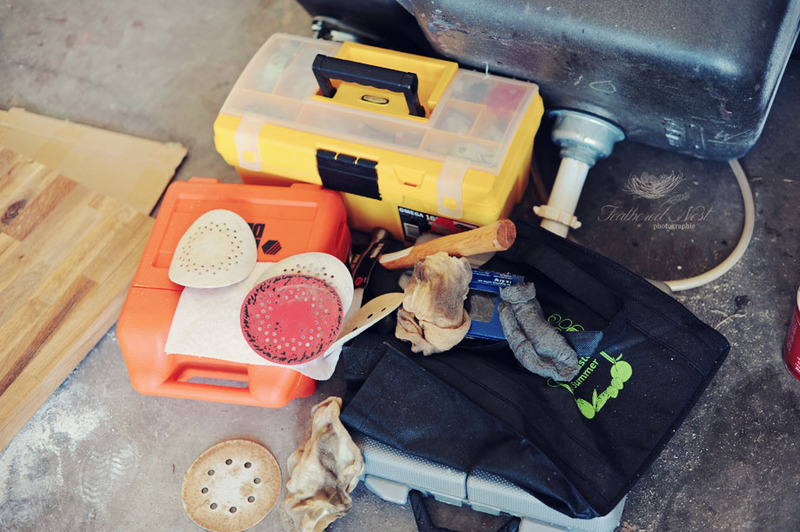 Some people use mineral oil but that requires regular maintenance and re-application. 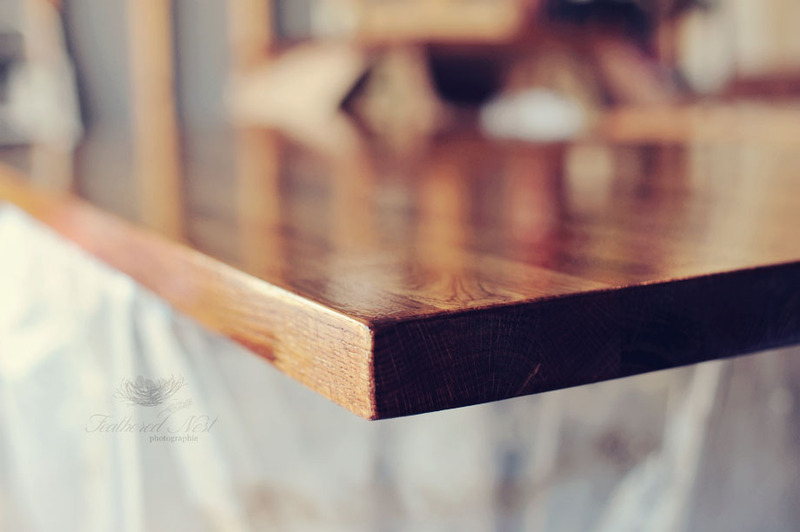 This Waterlox gives a nice sheen and after a process of multiple coats it will not need to be re-applied often...maybe for touch-ups. I've had my counters in use for 6 months and they still look great. I do use a cutting board to chop on to avoid knicks and scratches. They are holding up beautifully to everyday wear! Water has been no problem, it wipes right off. This is a close-up near the end of the staining and sealing process. It took me about 9 or 10 days. Be sure to do both sides!! If you don't do the underside you risk having some warping later on. Do the underside to completion first so that once you flip to work on top side you won't have to worry about damaging it to flip again. This is the way the kitchen walls stayed for quite some time. We installed the counters so that we could use them but we had open holes in the wall with exposed wiring for about 4 mos before we finally got around to tiling. 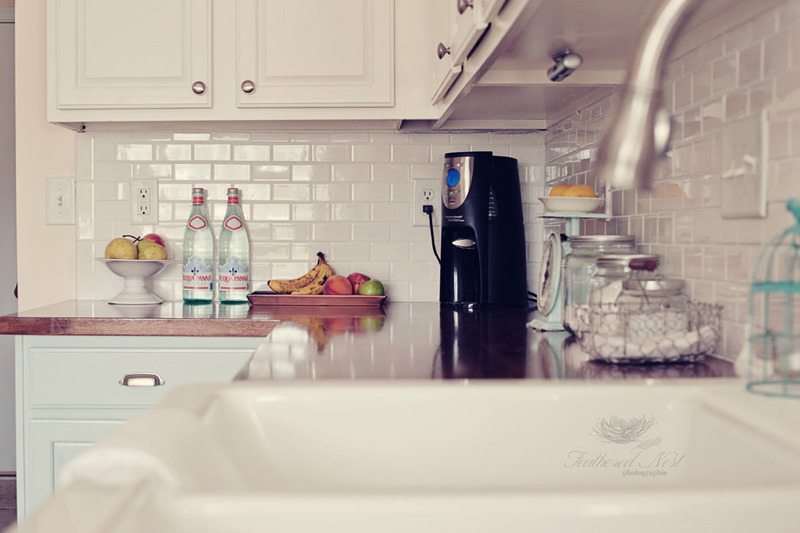 We chose a white ceramic subway tile. It's an inexpensive option that offers a beautiful result! We enlisted the help of some friends to get the tiles on the wall in late June. I actually became very ill (from a virus that I contracted elsewhere that eventually caused a visit to the ER) while the tiling was going on and wasn't well enough to grout them until mid July. I'm still feeling the effects of that virus over 2 months later. But, it was finally complete. The DH and I spent an entire day grouting (we were grout virgins and it took us forever!) and finishing up little details. I think I heard angels singing in the heavens that day, lol! Hallelujah it was done! It felt like a weight lifted from our shoulders! And we are loving it! 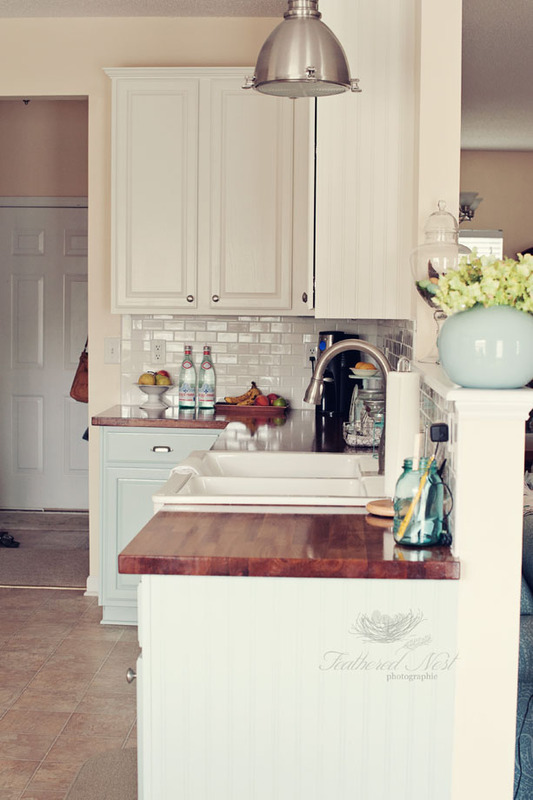 I was kinda going for a coastal farmhouse vibe with my color choices and choice of materials and accessories. 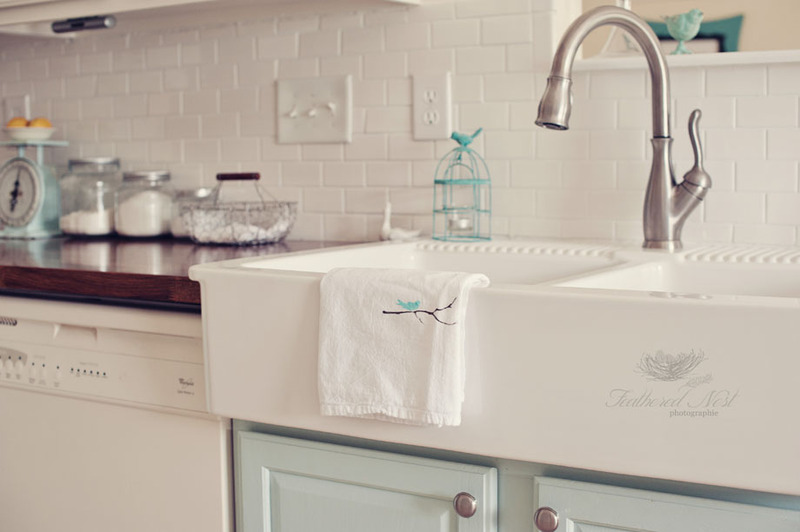 This glorious apron front farmhouse sink is one of my favorite parts of the kitchen!! It is HUGE!! 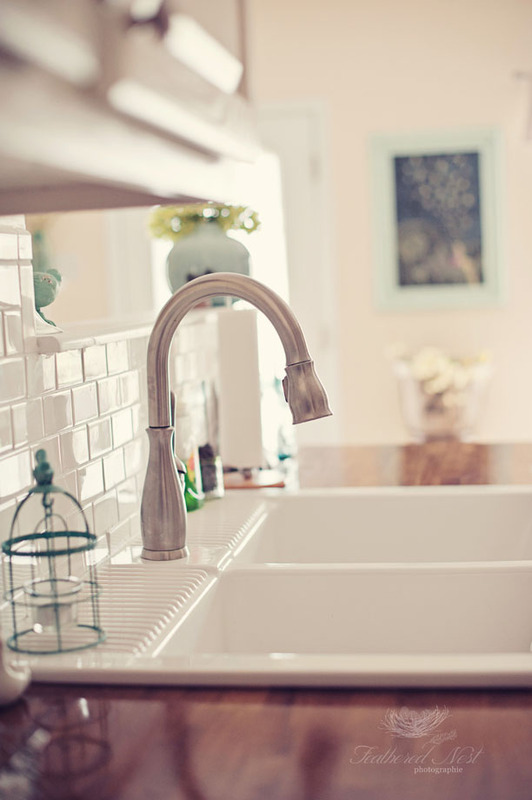 This was another IKEA find and worth every penny of it's over $300 price tag...which isn't bad at all for a double-basin farmhouse sink. A side view of my lovely sink :) Isn't she pretty?! She can hold a lot of dishes, lol! 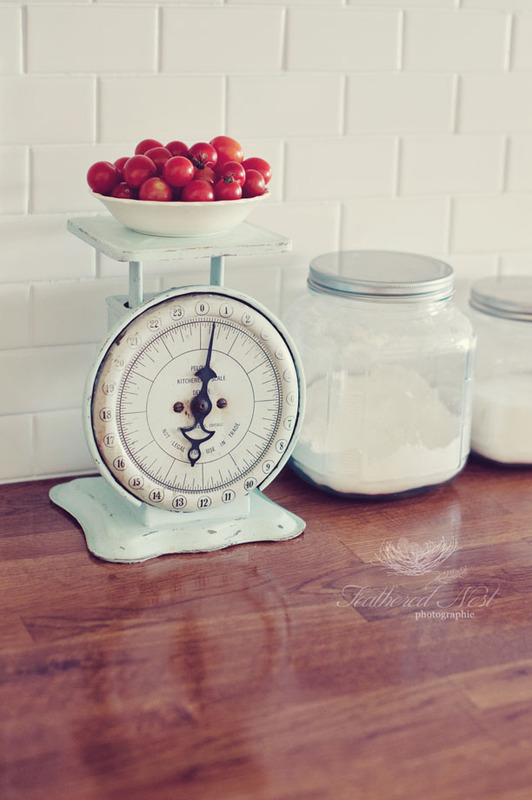 I found this adorable vintage kitchen scale on etsy and LOVE it! 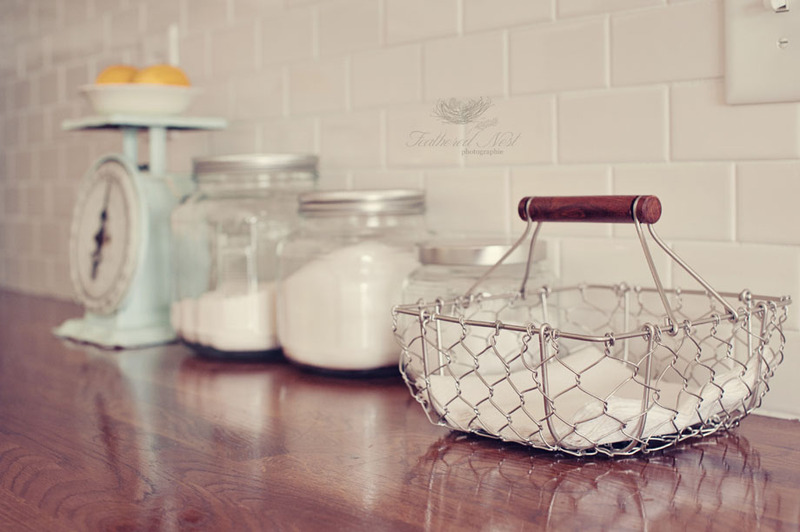 Fits my coastal farmhouse kitchen perfectly! Tomatoes courtesy of my mom's summer garden. Starting a garden is on my own to-do list! 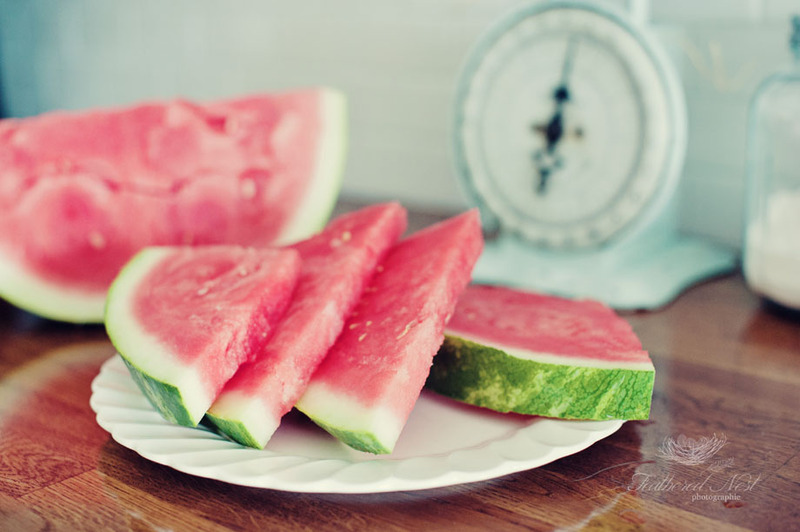 A slice of watermelon anyone?! Yummo! 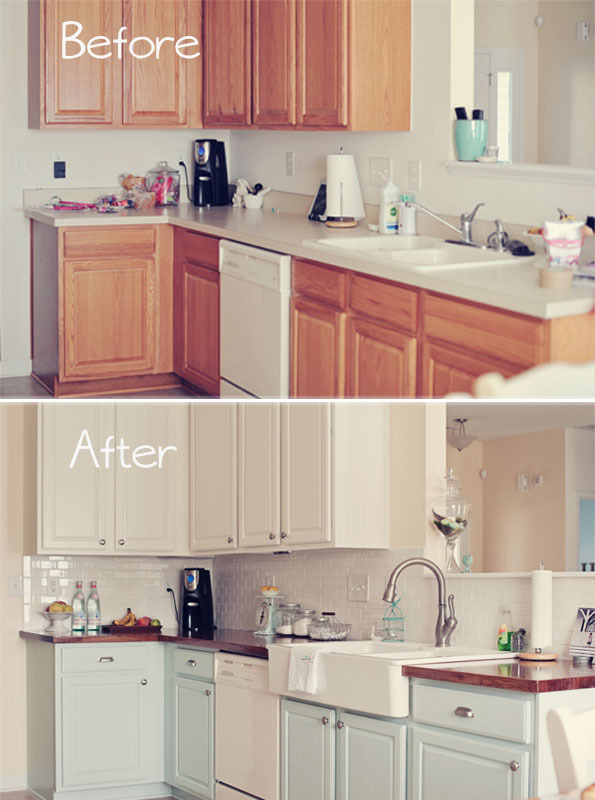 This part of the kitchen makeover was actually the first part I completed. I forgot to take a real "before" picture before we replaced our brass light fixture with this IKEA farm one. 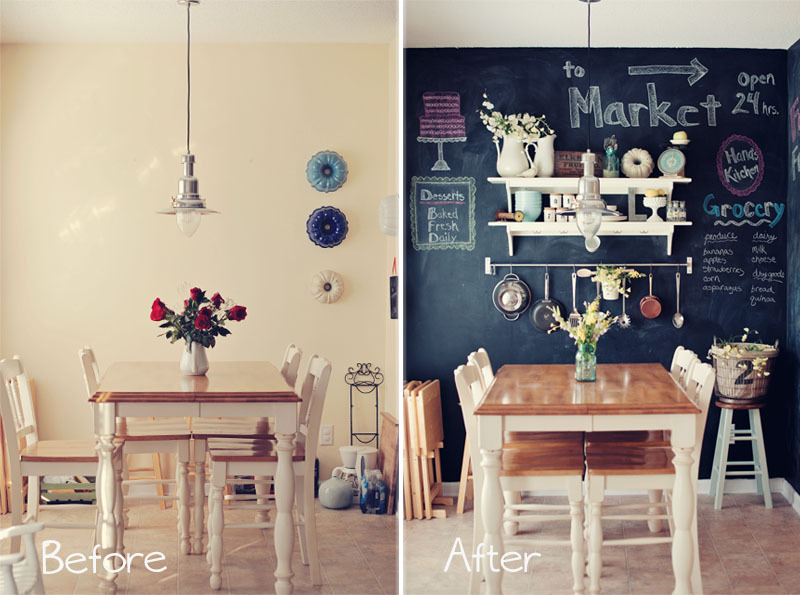 After replacing the fixture I painted this chalkboard wall!! It's super cool and the kids love it. The shelving is also from IKEA. Did I mention how much I love IKEA?! Loving that we have one about 90min away. But they are available online if you don't have one of their mega-stores near you. 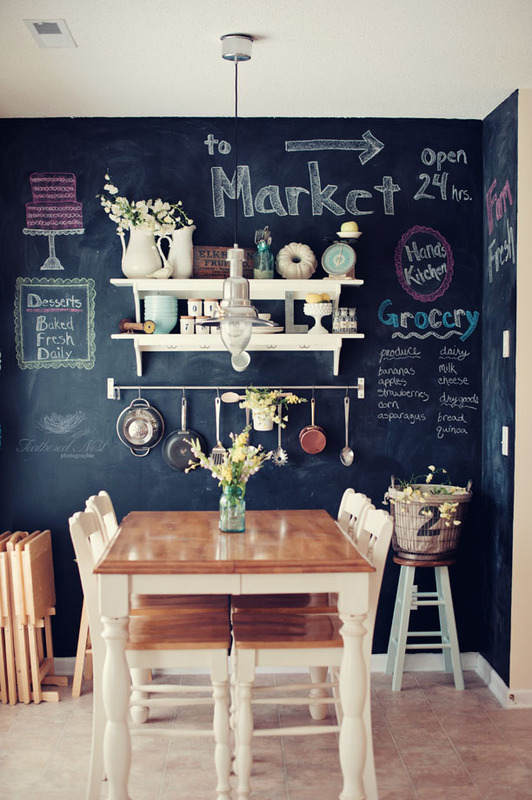 *Tip for achieving a well-worn chalkboard wall...after the paint is dry rub the side of a piece of chalk all over and then wipe off with a cloth...I just used paper towels. This gives it that nice "used" look! Please ignore the dirty table. I forgot to wipe down the crumbs after breakfast. Just keepin' it real! Most of the decorative items are vintage things I've collected from local antique stores or from the vintage section of etsy.com. I love old stuff :) Nevermind that I haven't hung my coffee mugs up yet..oops. I hope you have enjoyed my little kitchen tour! Feel free to email me or leave any questions in the comments section! 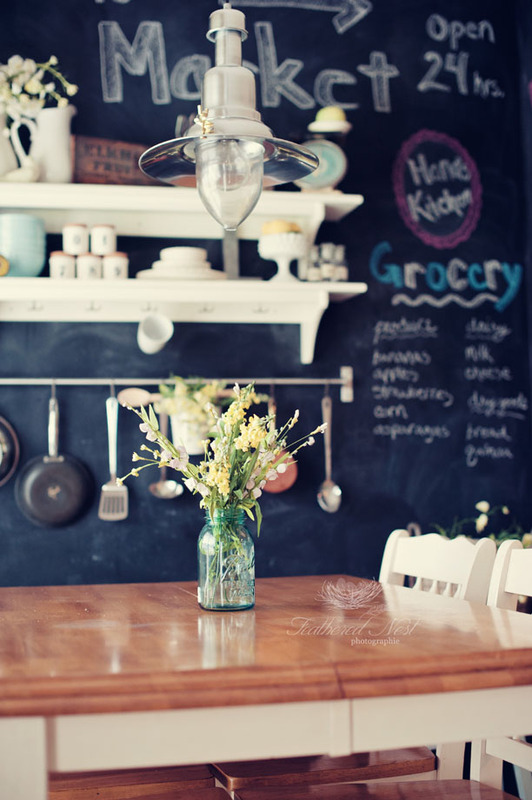 Loved the kitchen and then loved the dining room even more!! love! love! love! You did a wonderful job! Wow!!! Both rooms are truly, spectacularly gorgeous! My husband and I are house-hunting right now so thank you for the inspiration! Hi! 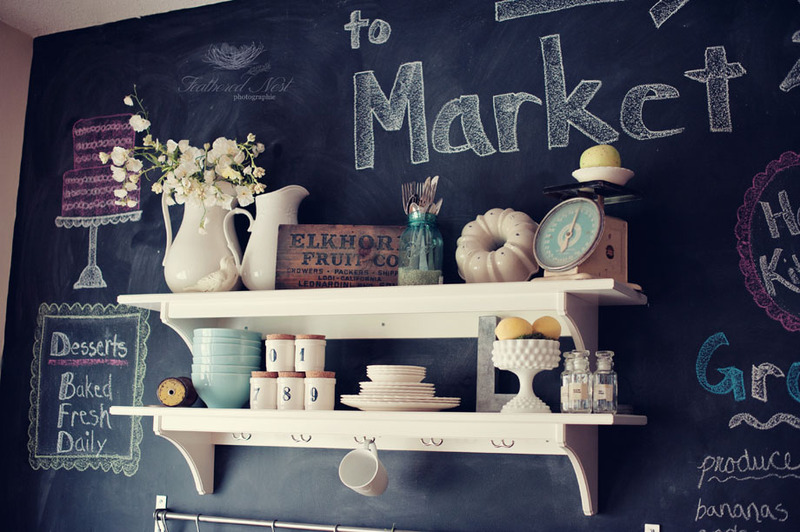 I found this post via Pinterest and would love to know where you got those hooks underneath your shelf to hold the mugs. Were those from Ikea as well? 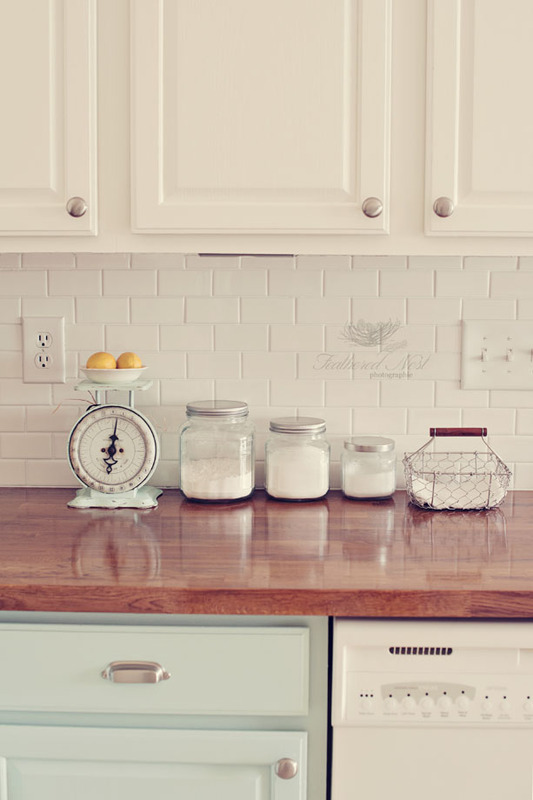 Love your kitchen!! Beautiful! I love the transformation! 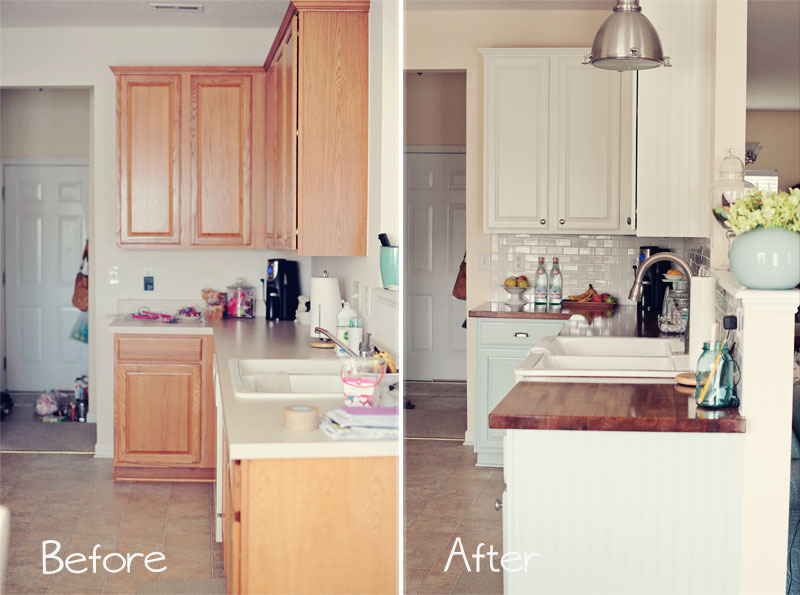 My kitchen looks pretty similar to the "before", except my cabinets are darker colored. The beadboard on the ends is a great idea. 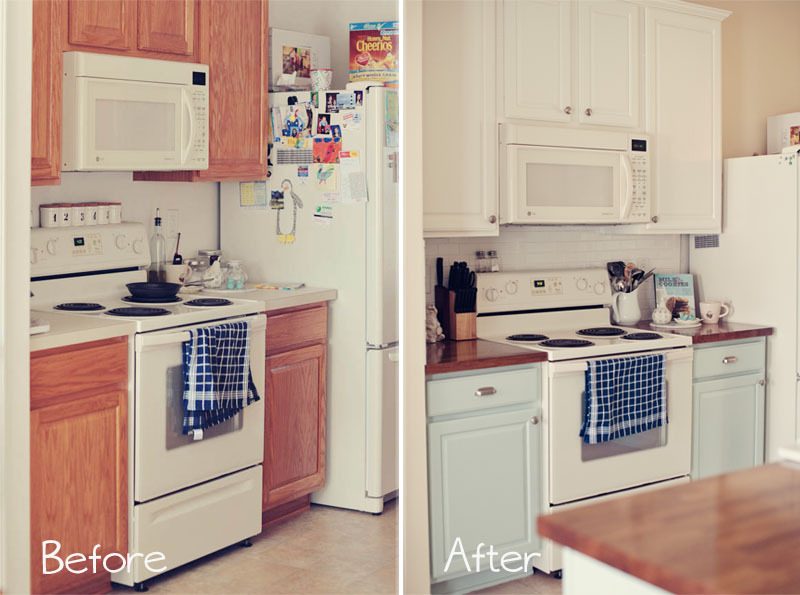 How refreshing to see a kitchen makeover that didn't include knocking down walls and getting all new appliances! Hi Amanda! Thank you! 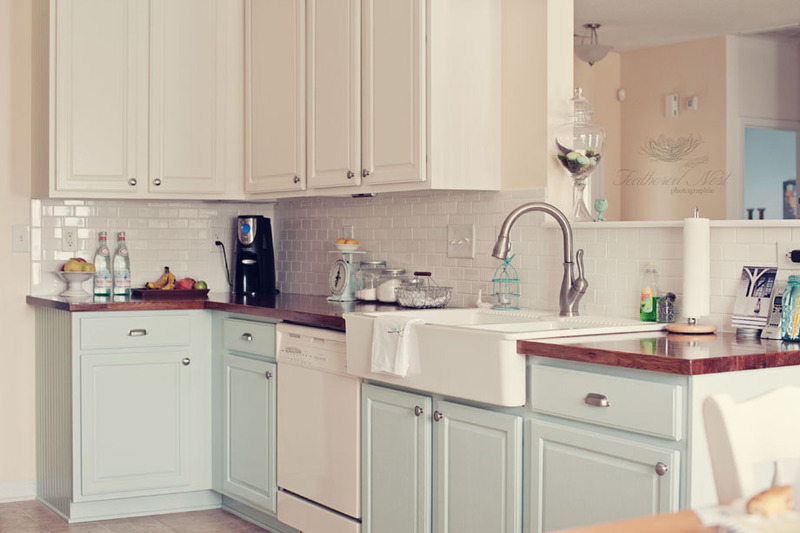 I LOVED this kitchen so much! We actually sold our house this past september and bought and renovated a new one with similar style. 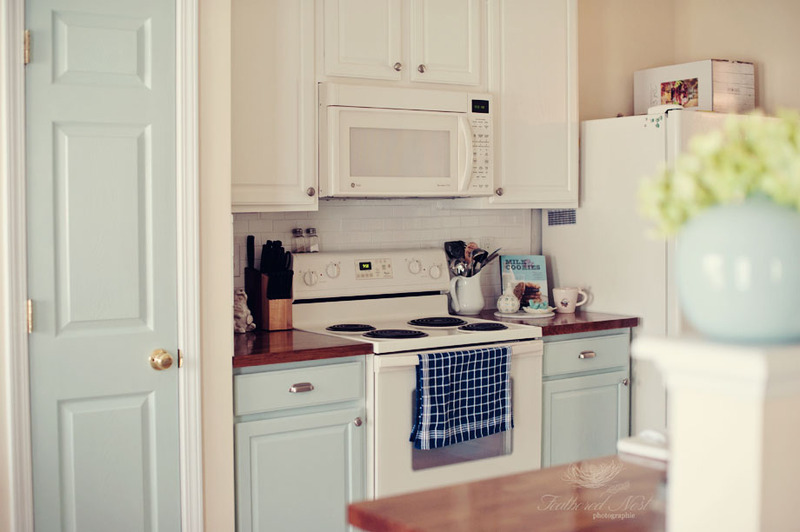 You can see our current kitchen at http://www.themomtogdiaries.com/2014/01/a-new-year-new-home-kitchen-remodel.html. 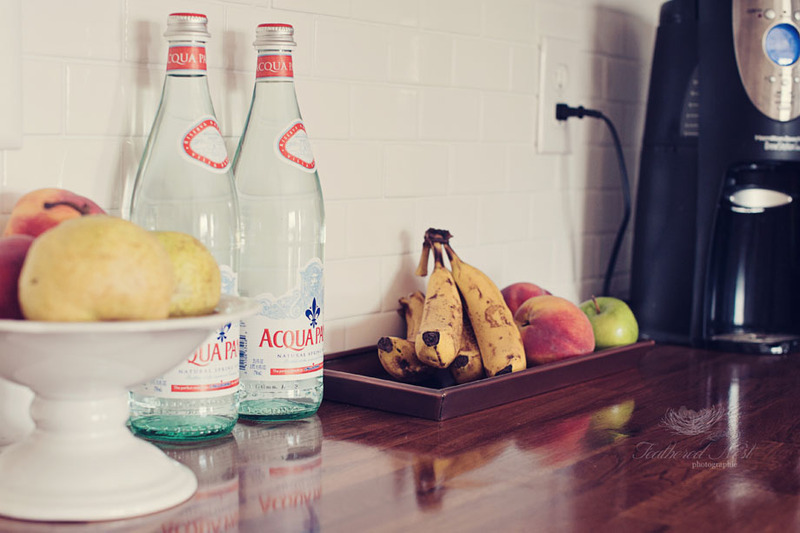 We did the farmhouse style sink in both. I would say the IKEA one was easier b/c it was an overmount sink. 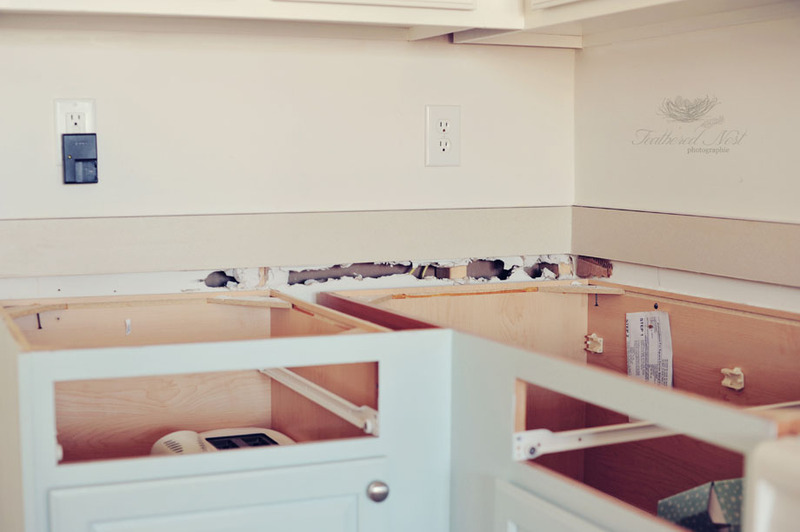 In both kitchen remodels we kept the existing cabinets and had to cut the cabinet fronts out to make them fit a farmhouse sink. The IKEA sink sat above the countertops which meant that we still were able to keep our existing cabinet doors below the sink. In our new kitchen we did an undermount Kohler farmhouse sink and b/c it sits lower we had to have the doors replaced with shorter ones. My husband and I aren't the most handy people so we had a friend help us with the installation but it wasn't bad. The new kitchen we hired people to do the work. Thank for stopping by! 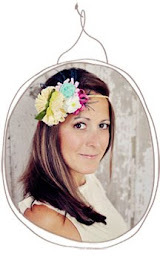 Hi Kelli, we used the existing base cabinet. If I remember correctly the two rectangular panels above the cabinet doors of the base cabinet were just dummy panels. When we removed them there was just rectangular openings. We just had to cut off the center piece of wood between the two openings and maybe trim a bit off the outer edges. The sink actually fit without too much change to the cabinet and the doors didn't even have to be replaced b/c this is an over mount sink and sat above the counters. We have since moved and when we did our undermount apron sink in the new kitchen we had to replace with shorter cabinet doors. I love this!! 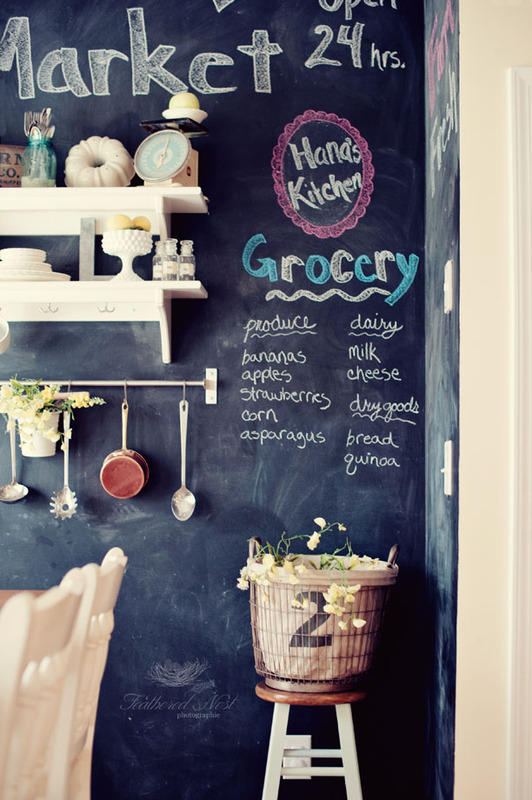 What color are the walls in the kitchen. I'm thinking of doing something similar, but I don't know if they would look good white, the almond cream color, or something else..